Get It On is a compilation DVD featuring TV appearances from the 1970's of various artists. 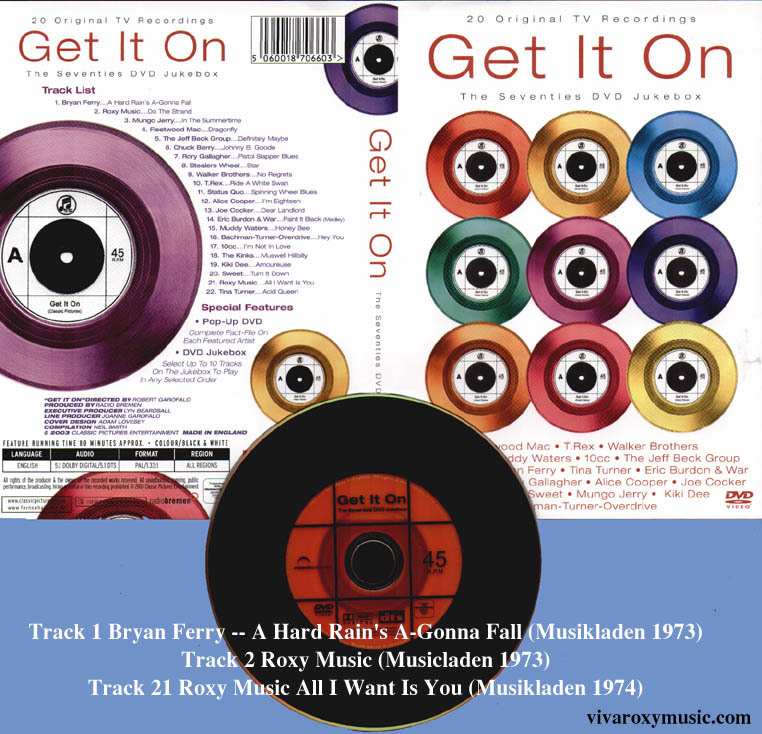 This disc features the only commercially available footage of Bryan Ferry's performance of 'A Hard Rain's A-Gonna Fall' from Musikladen from 1973. Also included is the footage of Roxy Music 'Do The Strand' & 'All I Want Is You' from 1973& 1974 on the German TV show Musikladen. This footage is available on several DVD issues.